Schloss Hellbrunn (Hellbrunn Palace) is a 400 year old Summer Palace located just outside of the city of Salzburg. 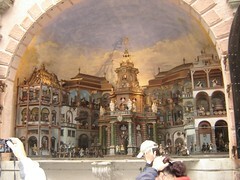 It is well known for its water games that revolve around numerous trick fountains located in the palace grounds. Schloss Hellbrunn was originally built for the Archbishops of Salzburg. 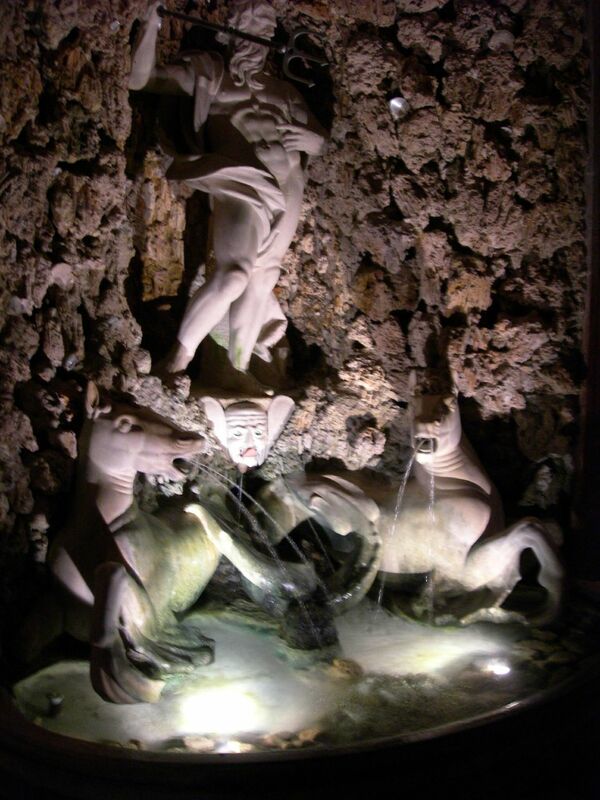 One of the most famous was the prince-bishop of Salzburg, Markus Sittikus, who developed the trick fountains around the palace. 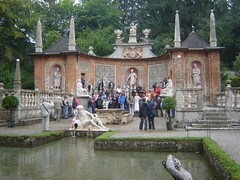 Today these fountains are the big draw card for the palace and they are especially popular with children. Part of the water fountain section is made up of water driven exhibits. One of these exhibits is the Mechanical Theatre, which involves over 200 water driven figures depicting the day to day life in a Baroque city similar to Salzburg itself. The other half of water fountain section comprises of the water fountains themselves. This is the section where visitors could end up getting wet! One notable attraction here is the stone dining table, where every seat (except one for the Archbishop's) contains a hidden conduit that sprays water on anyone that sits down at the table. If you do not want to get wet, just note where the tour guide is standing! Various parts of The Sound of Music were also filmed here. 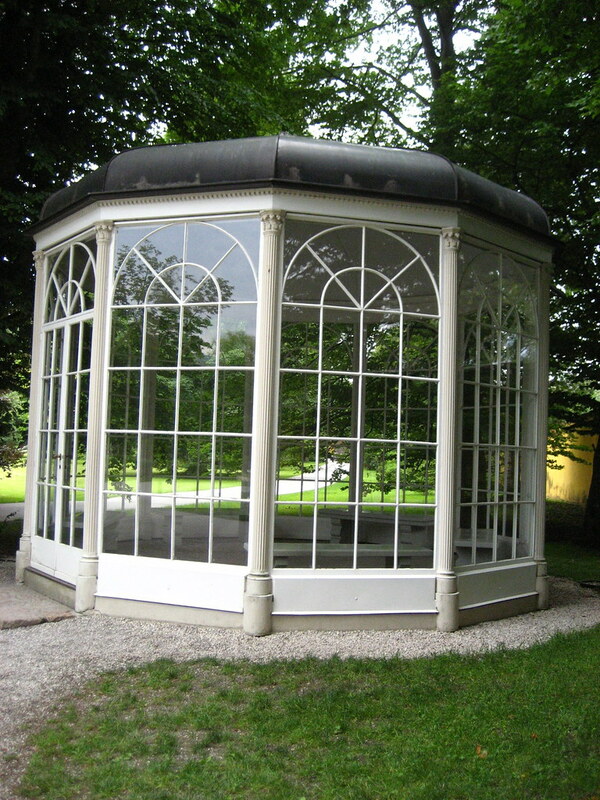 For example, the Pavilion where Franz and Liesl first met is located in the Hellbrunn park. 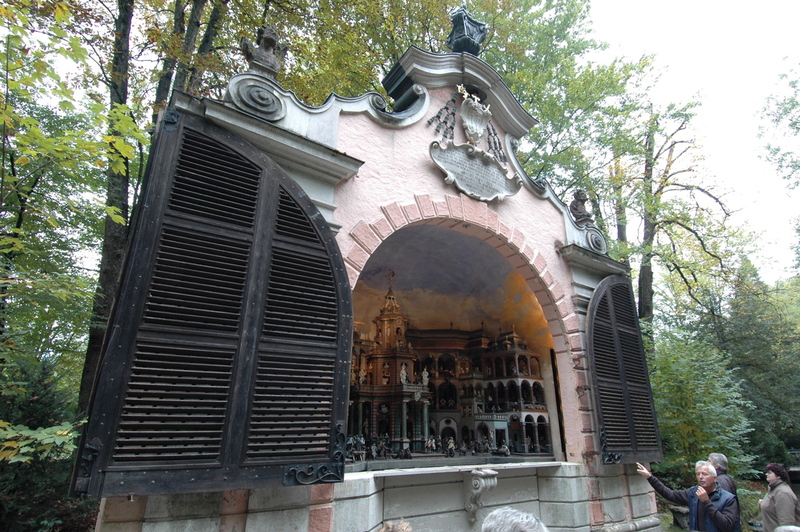 It is possible to tour the Trick Fountains with a tour guide or the palace with an audio guide. 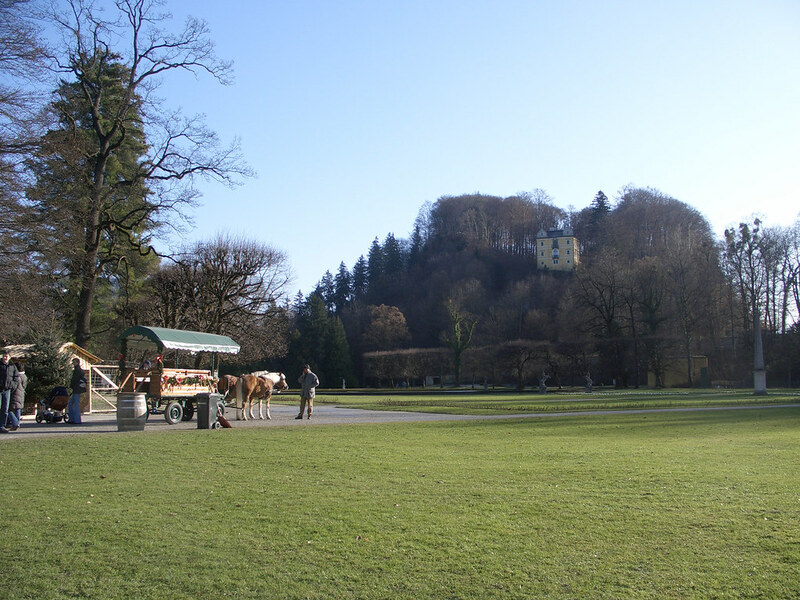 Although it is best to visit Schloss Hellbrunn in the spring and summer months, the park is actually open all year around. 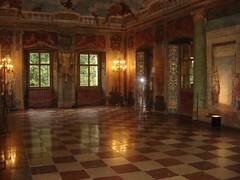 The palace itself is closed from November until March. 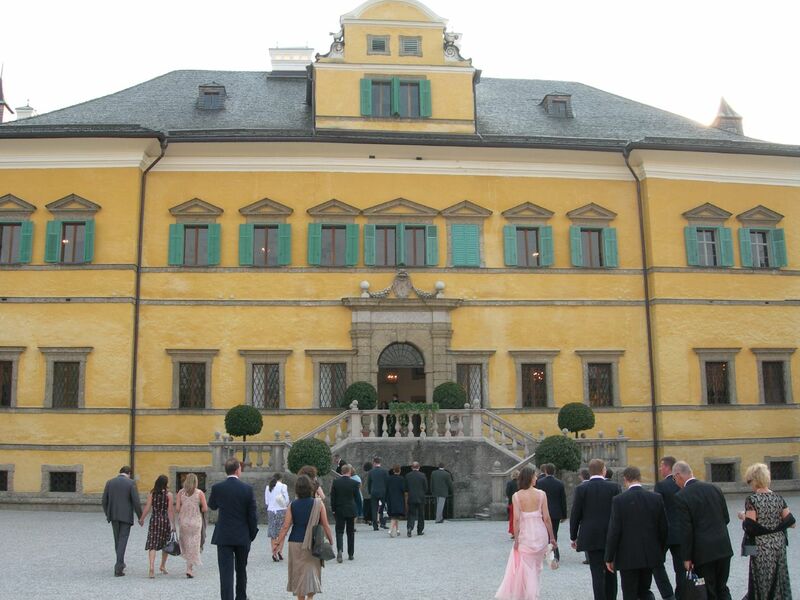 Schloss Hellbrunn is located just outside Salzburg, however it is easy to reach with public transport. 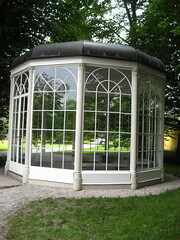 It is also near the Salzburg Zoo. 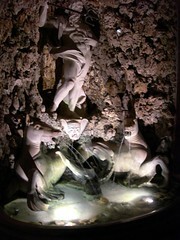 Both these attractions are free for holders of the Salzburg Card. I used to love the Sound of Music as a kid, and to see some of the sets from the movie here was excellent. The Palace is a little way out of town, but it's easy to get to with the bus. We were there in the height of summer and it was pretty busy. 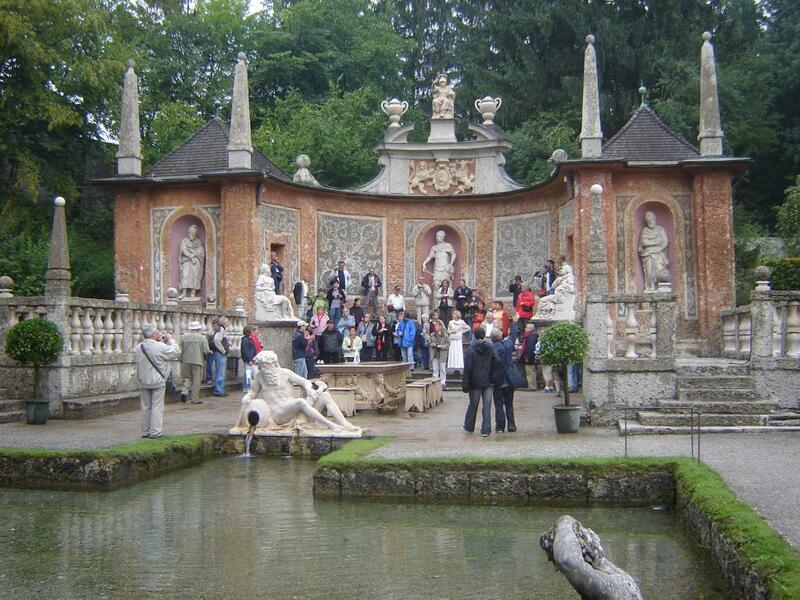 Have you already visited the Schloss Hellbrunn (Hellbrunn Palace)? If so, let everyone know what you thought about it by writing a review! No registration necessary. Just click here to start writing! 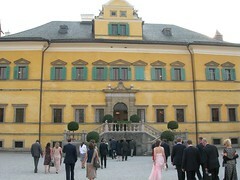 View all Schloss Hellbrunn (Hellbrunn Palace) Pictures.